Size 15" x 19.25" x 11"
NOTE: Colors use a baked enamel for a high-gloss finish. Custom colors available for an added fee. Actual colors may be slightly different than what you see above due to different screen settings. 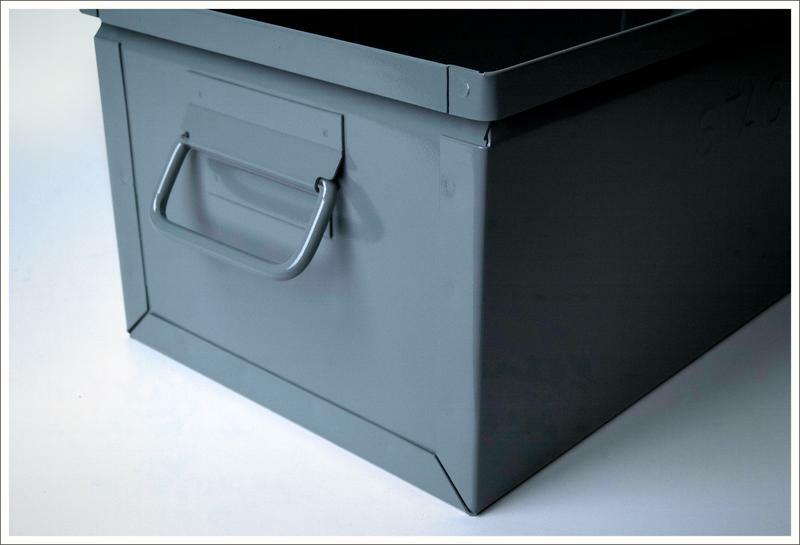 Stackboxes® have the same construction as the Stackbins with a solid front. 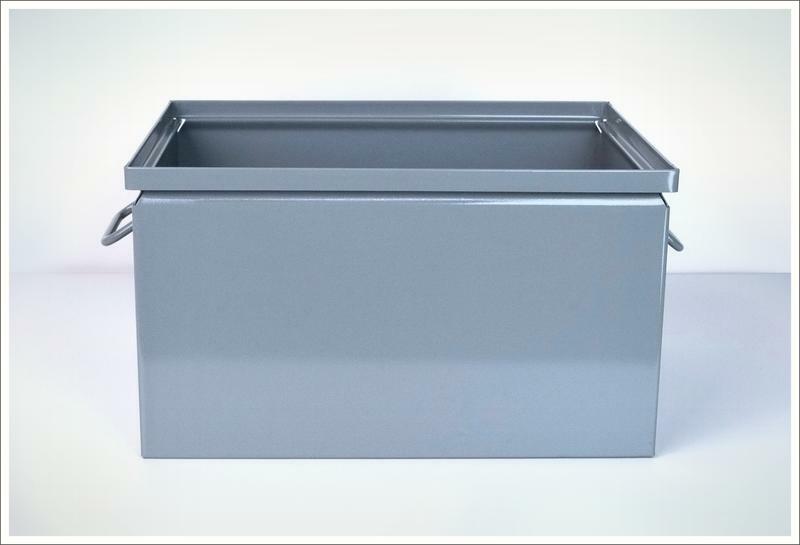 Drop handles on either end make it ideal for transporting materials. 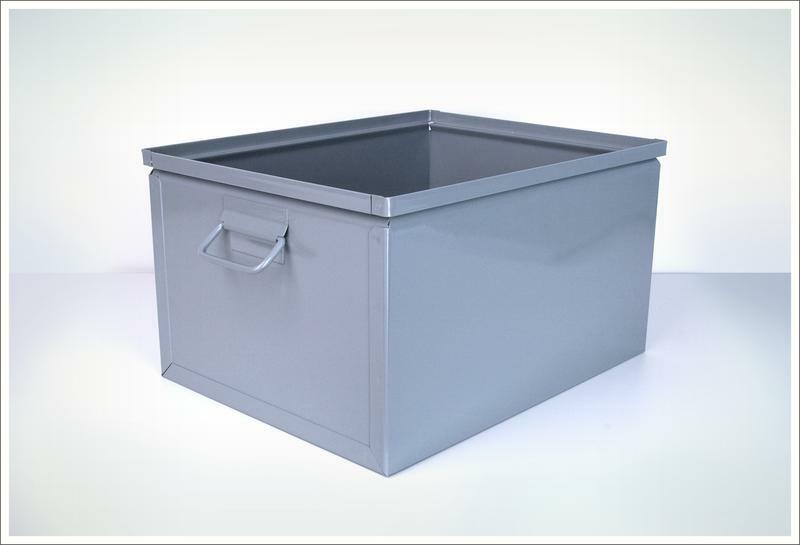 Same size Stackboxes can be inter-stacked and are designed to support any weight that can fit in the cube of the container. Click on part number to be taken to that sizes page. 1-2SX 7.5” 13” 6” 18 5.5 450in3 avail. 1-3SX 9” 15.75” 7.5” 17 9 900in3 std. 1-4SX 12” 16.5” 9.5” 16 12.5 1600in3 std. 1-5SX 15” 19.25” 11” 16 20 2800in3 std. 1-6SX 18” 25” 12” 16 30 5100in3 std. 1-8SX 10” 20” 8” 16 12 1400in3 std. © 2012 Stackbin Corporation. All Rights Reserved. 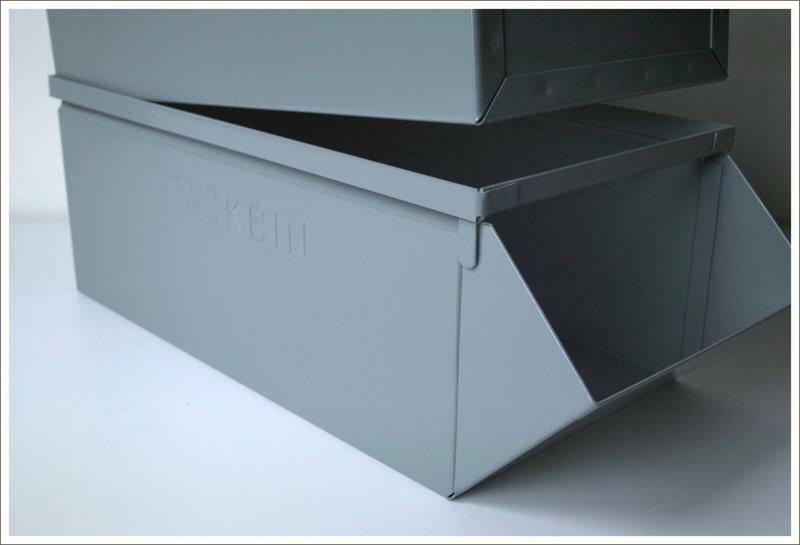 Stackbin® is a registered trademark.